After a tumultuous year largely defined by anger and divisiveness, it was good to round out 2017 at the cinema with The Shape of Water, a gorgeous film that simply and boldly celebrates love and tolerance. It was playing as an advanced screening at Kino Scala, and this fairytale for grown ups finds master fantasist Guillermo del Toro somewhere near his best. The story concerns Elisa Esposito (Sally Hawkins), a mute woman who works as a cleaner at a top secret government facility in Baltimore. Each day she gets up, boils some eggs for her lunch, masturbates in the bath, cleans her shoes, and pops in to see her friend and neighbour Giles (Richard Jenkins), a closeted gay artist who pines after a dishy waiter at a nearby diner. At work she spends her shift mopping floors and cleaning toilets with Zelda (Octavia Spencer), an outspoken and kindhearted colleague who also helps out by translating sign language to others for her. The comfortable monotony is broken when the facility receives a shipment of a highly sensitive “Asset” – an amphibious humanoid with some mysterious powers, delivered in a tank full of brackish water. The creature is accompanied by the glowering Colonel Richard Strickland (Michael Shannon), head of a research project to give America the edge over the Russians in the space race. The Russians also know about the Amphibian Man and want a piece of the action, and have an undercover operative in the facility. Strickland has a personal grudge against the creature, as he was the one who captured it in the depths of the Amazon and dragged it all the way to Baltimore – he’s a good old-fashioned movie sadist who loves nothing more than working the Amphibian Man over with his electric cattle prod. The creature’s not too keen on Strickland either, and just wants to tear him limb from limb. 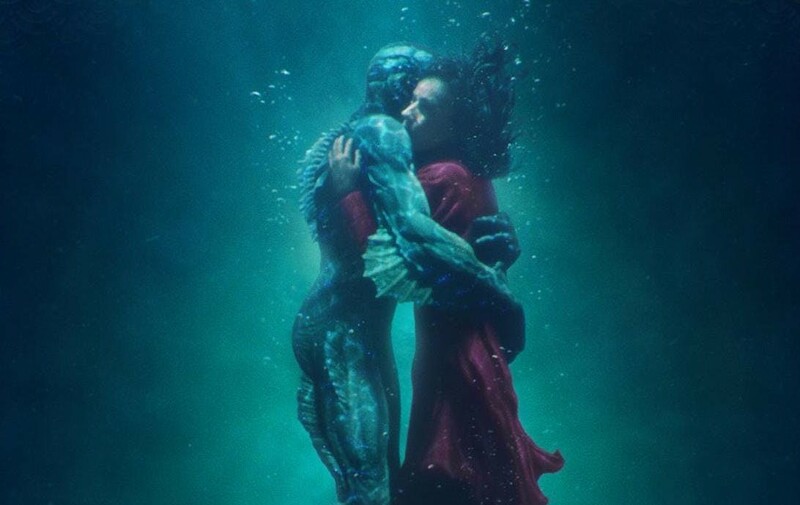 The tone of The Shape of Water is closer to Hellboy than Pan’s Labyrinth, and the film exists in a similar realm of magical realism to both – it’s set in the real world and name checks real historical events (the Cold War, the Civil Rights Movement), but from the enchanting opening credit sequence onwards we never question the creature’s existence or his supernatural powers. After the relative disappointments of the fun but disposable Pacific Rim and the sumptuous but hollow Crimson Peak, Del Toro seems to have found a new spring in his step with The Shape of Water. His self-confessed adoration of The Creature from the Black Lagoon is key – he tried to get the rights to make his own version of the atomic era classic, but Universal weren’t sold on his idea of telling the story from the creature’s point of view. So he created his own Amphibian Man story instead. He’s aided by Dan Lautsen’s florid, nostalgic cinematography – the film basks in a vintage chocolate box glow – and Alexander Desplat’s swooning score, which occasionally teeters on the verge of schmaltz. There are a few gripes which stop The Shape of Water reaching the heights of his best work. It doesn’t carry the same emotional or thematic heft as his masterpiece, Pan’s Labyrinth, especially as the central romance between Elisa and the Amphibian Man feels a little undercooked. It’s certainly not the fault of the performers, because Hawkins is wonderful in an almost silent role and Doug Jones (virtually reprising his part as Abe Sapien from the Hellboy movies) is incredibly expressive under heavy prosthetics. It’s more down to the screenplay by Del Toro and Vanessa Taylor – to really sell the romance we could have done with a few more scenes of them together, and less time sidetracked by the espionage intrigue and Strickland’s home life. Other issues include a song-and-dance dream sequence that recalls the “Puttin’ on the Ritz” number from Young Frankenstein, just not in a good way, and some pretty unimaginative casting. While it’s hard to fault any of the performances, each actor plays their character exactly as you would expect. Richard Jenkins does sad and avuncular; Michael Shannon scowls and growls, becoming increasingly demented as he tracks down the creature; Octavia Spencer lends Hawkins robust and sassy comic support, looking like she’s just walked across from the set of Hidden Figures. They’re a little close to stereotypes – how about mixing it up a bit? Try Shannon as the kindly gay neighbour and Jenkins as the hellbent federal agent, see how that works instead. The other problem for me as a film critic is that The Shape of Water is just so lovely and sincere and wonderfully crafted that it makes me feel like a grouch for actually being critical of it. So forget those negative points and go see it when it comes out on general release – it’ll make you feel all nice and gooey inside, and a little bit better about the world. I’ve always had a problem with Jim Jarmusch. 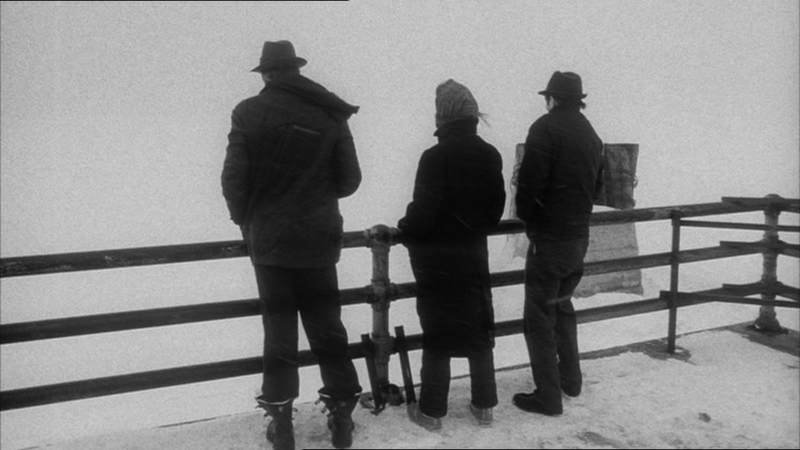 Stranger than Paradise completely changed my perspective, though. Nothing much happens in this film, but that is kind of the point. 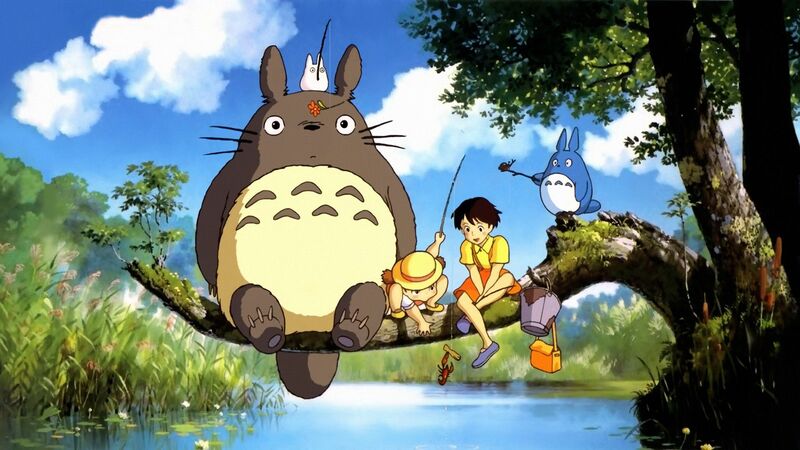 A beloved animated tale about the joys of being a child and the blurred lines between imagination and reality is showing at Kino Scala this month – great to help you get through the post-holiday slump!